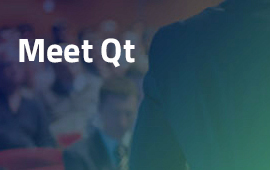 ICS is joining The Qt Company in Dallas, TX (September 20) for a Meet Qt seminar. Connect with fellow Qt users and hear ICS' Roland Krause discuss and show the integration of Amazon Alexa into Qt on our IVI media manager and cockpit control system. Attendance is free, however spaces are limited, so register now!